Encore AV Rentals Welcome to Encore AV Rentals! Audio Visual Rentals We offer everything you need to have a professional presentation. Secure business rentals for all of your corporate needs. Click below for more information. 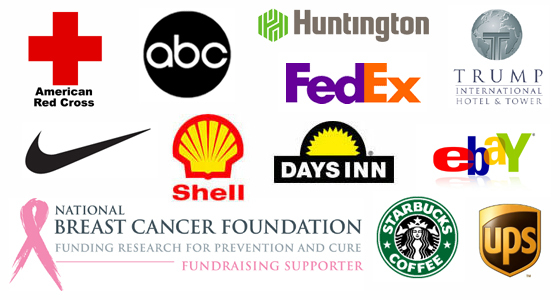 Acquire non profit rentals to support your next fundraiser. Click to reveal more information. Obtain party AV rentals to assist the next event you will be hosting. Click for further information. 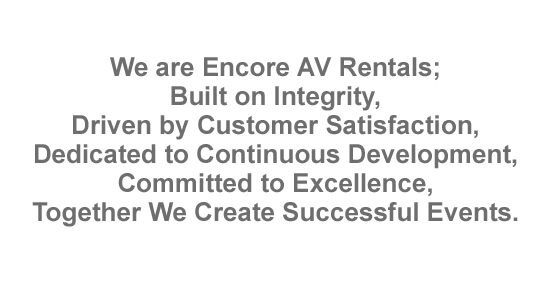 Encore AV Rentals Corporation is the nationwide leader of audio visual rental equipment gear for over 25 years! We provide rental sound systems, wireless microphones, audience response systems, laptops, computers, projectors, iPads and other A/V rental gear. Encore AV Rentals, Inc specialists will be able to assist you in finding the proper A/V renting equipment that suits your needs based on the nature of your event, size of venue, and the duration of your presentation. Our award-winning staff at EncoreAVRentals.com are knowledgeable and eager to help you with event planning, and guide you through the selection process of your audio visual rental needs so you will be able to receive the most cost effective solution. All of our nationwide A/V rentals are state-of-the-art and easy to setup, and our technical support team is always available around the clock to help answer all of your questions in an efficient manner. Give us a call today to secure your audio visual rentals for your next business initiative. Encore AV Rentals, Inc helped the Days Inn event planner out of a tight jam. Initially, for their annual investors meeting, Days Inn Corporate was providing 100 laptops and another audio visual rental company was to provide an additional 200 laptops in order to accommodate all of the attendees. Unfortunately, only the Days Inn laptops were functioning properly, and the event planner was scrambling around looking to find a quick, and easy solution. That's when she came across EncoreAVRentals.com. After briefly speaking with our rental director, the event planner had 200 Lenovo laptops all cloned from a g-mailed file and shipped overnight to the venue where the investors meeting was being held. The laptops arrived bright and early the next morning, were setup instantly upon arrival and were ready to plug-in-play. After it was all said and done, the event was a success. We here at Encore AV Rentals Corporation specialize in providing high-end audio visual rental gear at affordable rates. Plus, we understand the urgency inherent in the business, and will never hesitate to provide last-minute A/V rental equipment, much like our Days Inn experience.